Battlefield: Bad Company 2 (Microsoft Xbox 360) Original Release Complete Exc! BATTLEFIELD: BAD COMPANY 2 XBOX 360 Complete ~ Free Shipping! Battlefield: Bad Company 2 (Xbox 360) - Complete, CIB, Excellent! 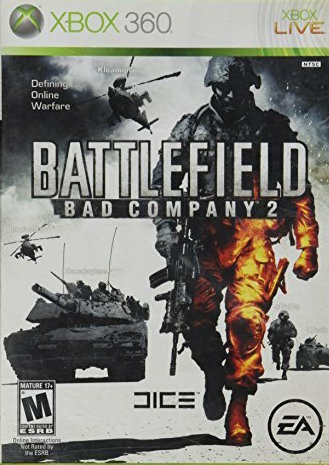 Battlefield: Bad Company 2 (Microsoft Xbox 360, 2010) Complete!! Tested!!! Battlefield Bad Company 2 PH Microsoft Xbox 360 LN Perfect condition COMPLETE!